We simply can’t get enough of Cauliflower. Whether it’s roasted, steamed, mashed, raw, we think it’s one of the best veggies you can put on your plate. However, thanks to Green Giant Fresh™, there are so many new ways you can enjoy this nutritiously packed vegetable, and we love how they’ve made everything so easy for us. 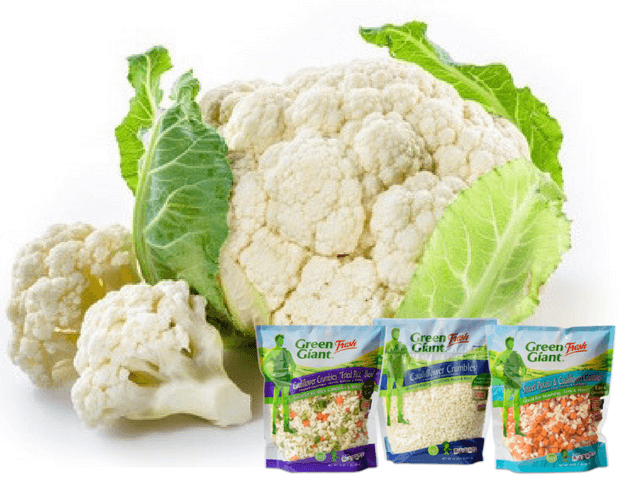 Their new line of Cauliflower Crumbles® has made cauliflower so much more convenient and easy to use, as well as a substitute for some of the typical family meals – including pastas, rice, stew ingredients, and even as a substitute for your mashed potatoes. Because we know that sometimes it is just way too hard to get the kids to eat their veggies, and yet they so need them for a healthy mind and body. Green Giant Fresh™ has made everything easy for us all now. You can have a quick, delicious, and healthy meal – with cauliflower – by using any one of their Cauliflower Crumbles fresh and convenient products to your meal – and in many different ways! Whether you want to steam it right in the bag, or do something more hearty – like a “Fried Rice,” but without the ‘fried rice!” That’s right. We say skip the fatty, carb-loaded fried rice and check out their new Cauliflower Crumbles® Chopped Vegetable“Fried Rice” Blend! This new fantastic farm-fresh product comes with so many healthy, fresh vegetables that have already been rinsed, chopped and prepped for you. No fuss whatsoever! The “Fried Rice” Blend comes with chopped cauliflower, broccoli, carrots, & onions - all of the important ingredients you want in a "fried rice" dish! 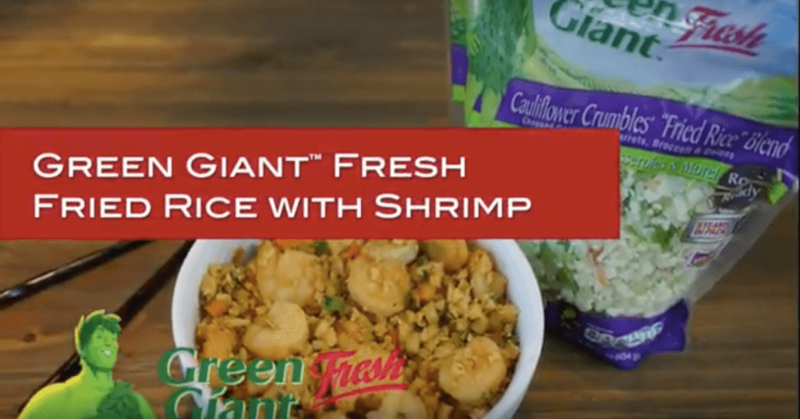 Green Giant Fresh™ carefully crumbles the florets of their delicious cauliflower and adds other veggies to the mix so you can easily (and quickly) pour, cook, eat! The vegetable are even pre-rinsed. The best part about these Cauliflower Crumbles® is how FRESH they are, so you know that you and your family are getting all that health and nutrition from eating your fresh vegetables. Let’s look at the health benefits of everything that comes in their Cauliflower Crumbles® Chopped Vegetable“Fried Rice” Blend!. Cauliflower is a is a rich source of vitamins C, K, B6, B5, B1, and minerals like manganese, copper, iron, calcium, and potassium. One cup of chopped broccoli contains the same amount of vitamin C as an orange! Cooking carrots actually increases its health benefits (and Moms - it’s been known to relieve symptoms of PMS). Onions fight free radicals in the body, increase immunity, and lower blood pressure. Add your favorite protein like chicken, fish, eggs, or tofu and you’ve got a complete meal that is super healthy, delicious, and super fast! Check out our own version of this “Fried Rice” recipe here! It only took a few minutes – less time than it would have taken for take-out! Enjoy!